Sitting around the dinner table in an idyllic and safe oceanside town in Sweden, Syria comes up in conversation and it quickly becomes a heated discussion teetering on full-blown argument. It’s hitting close to home. Myself and Ludde’s sister-in-law are having troubles receiving visas. It’s less detrimental for me as I don’t have a 2-year-old to support. I often wonder how I would perceive the Syrian war and crisis if I was still living in the US. I understand how this conversation gets emotional fast. Of course I want to be able to participate and work in Swedish society and live with my Swedish boyfriend. On the other hand, there is a large degree of choice in my gripe with waiting for residency. My journey to Sweden did not include a several thousand dollar ticket on a boat with no guarantee I would arrive alive and safely with all of my family members. There are many players in this conflict; each are supported by different groups and countries that have their own agendas. Half of the country has fled their homes. At least 7.6 million have been displaced within Syria and more than 4 million have become refugees in neighboring countries. Head strong Syrian President Assad would never back down at the demands of the West, but would be more likely to do so with pressure from his Allies (Russia and Iran). This could require two opposing teams, Russia and America, to find a way to work together. Sweden has accepted nearly 70,000 refugees since the conflict began in 2011. With a total population of under 10 million, this is the highest per capita of any country in Europe. Currently, one in five Swedes have a foreign background. Refugees are given benefits like healthcare and education in the Swedish language and culture. With the recent influx of refugees, like many countries, Sweden is struggling to keep up, urgently hiring 1,000 new employees to help with the acceptance and integration process. Germany is leading the pack, taking in over 100,000 asylum seekers and has pledged billions of assistance. The US has taken in a mere 1,500 refugees since 2011. They are expecting to take in another 300 by the end of the year. On the other hand, The US has given the largest amount of financial aid totaling $574 million. Geographically, refugees are fleeing to the closest help they can find, but being the philantropic melting pot that we pride ourselves to be, and once upon a time being the promise land for immigrants, could we spend some of that $574 million on getting a few more asylum seekers to the safe land in the US? When does it become less about nationalism and more about humanism? I won’t pretend that I understand the full depth of this conflict. It is undoubtedly complex. There aren’t any firm solutions and it doesn’t look like the problem will be resolved anytime soon. Even more complicated, the conflict doesn’t stop if/when refugees arrive on foreign land. The issue merely shifts and transforms. The conflict takes on new smells, has different faces and new lands and languages to adapt to. Refugees become another countries problem on country x, y or z’s home turf. So, what about when they arrive? Are we as a race treating others as equal humans? One journalist in Hungary responded with fear and hate, kicking people as she filmed refugees entering the country by the hundreds. At our core, as humans, we yearn to live a dignified life, and right now millions of people are fighting for their lives and the lives of their families. This mass movement of refugees is the world’s current reality. I think about it on a micro level and envision the change beginning with each individual. If we did something as simple, and often times as difficult as treat others as equal, we would witness a great change. Some will argue that my thoughts are naive, unrealistic, and say that’s just not the way the world works. I ask, why the hell not? We have fought war upon war and it hasn’t seemed to get us much peace. Excuse my “hippy pleas” for a moment, and why not give it a try. Iceland is. After hearing that the government would only accept 50 refugees over the next two years, award-winning author Bryndis Bjorgvinsdottir, took to social media and started Syria is Calling. 18,000 people joined. Many have opened up their homes, offered plane tickets, donated their time, and have provided other services and supplies. How many refugees Iceland (population 323,000) will take is still unknown. No two countries needs to respond in the same manner, but imagine the difference a more open door policy would make in 10 years and how much more integrated and part of the culture asylum seekers would feel. As I sip my coffee, shop at the grocery store, and wait to hear about my Swedish residency, I know that I cannot fathom what it is like to be running for my life. It is no where near my scope of reference. I haven’t had to witness first hand the violence, the destruction, or the uncertainty of fleeing my home. Nor have I yet witnessed refugees arriving by the tens of thousands. How can I or anyone can make a difference who isn’t directly affected by this? What can I do being far away from the conflict? Maybe you think it doesn’t apply to you because it’s not visible in your life or on your doorstep. Or to be frank, maybe you just don’t care because it’s not your problem. But if the tables were turned and it was you in that situation, what kind of treatment you would so desperately hope for? Where is the balance between living our lives and doing what we can? The argument in Sweden would be that it would be unwise to let too many people in until that the balance of the social system is thrown out of whack. People who don’t work and live off of the system fall become the responsibility of the people more than in other capitalist countries. Still, doing what we can is better than doing nothing. Syrian neighbors in the Gulf States, like Saudi Arabia and Qatar, who combined could house over 2 million refugees, are taking in no one. If you’re not sure what kind of difference you can make, you’ll probably get an opportunity sooner than later. It could happen passing someone in the street, a chance to show compassion and understanding rather than fear and hate. We see so much unrest and injustice today with large powers fighting back in violence towards grass root efforts of the people. In the end, the people fighting to be heard aren’t trying to destroy government but rather want to live a dignified life. Syria is not an isolated incident. If it’s not Syria, then the person you pass in the street or bump into at the grocery story could be from South Sudan, Iraq or Ferguson. It can be as simple as looking that person in the eye and smiling at them. One random act of kindness is a beautiful place to start a revolution. Find richness in cultural traditions other than your own. 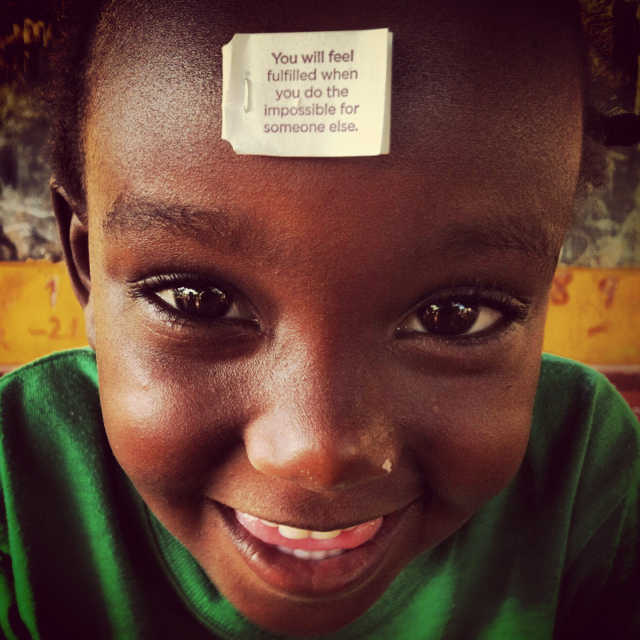 Build your sense of compassion. Choose love. Start with yourself and spread it out to as many people as possible. 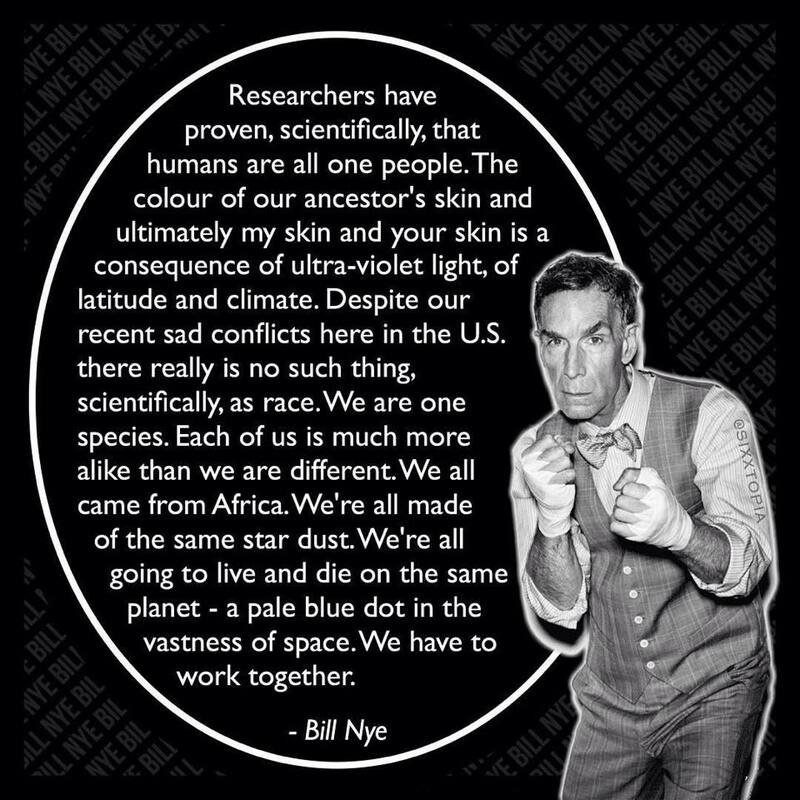 I’ll leave you with a few words of wisdom from the one and only Bill Nye. Humans of New York Instagram – Great account! Sharing stories of people he meets in the street, in this case, Greece. Your words are emotional but powerful. Thanks for sharing! Thankk youfor this beautidful article. Once again you prove to me that you should be doing this as a profession. You’d probably have to learn to write in Swedish as it sounds like you may be there awhile.. Somehow a paragraph was repeated. Other than that; a great piece.. Love the pic and your insight.. Keep it up .!!! Thanks for the edit! 🙂 Once I’m a resident I can take classes…I’ll begin with English for Immigrants. That’s the first class everyone starts with. Pretty funny. I’ll start writing in Swedish…eventually. As always, thanks for the support!